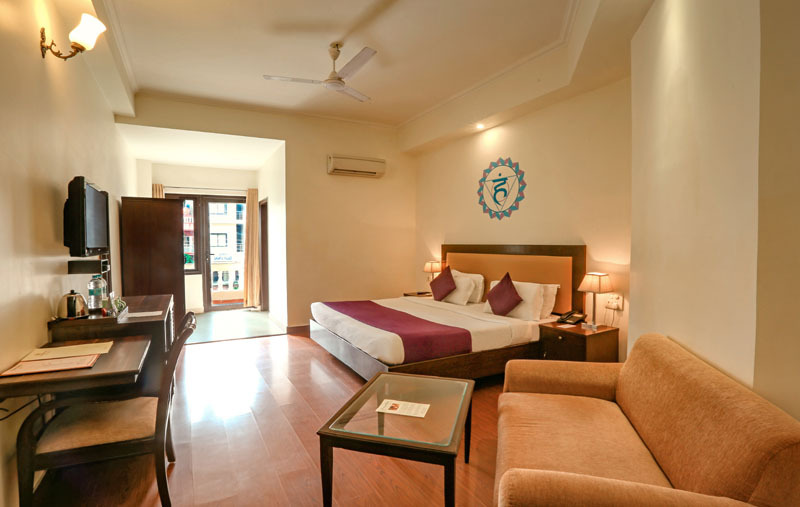 Semi Deluxe rooms are our basic standard rooms with all modern amenities along with a queen sized double bed. These Rooms have No View. The rooms have a television and Wi-Fi. You can stay in sync with the digital world and start your day afresh with a nutritious meal. There are also facilities like 24-hour room service, laundry service, wardrobe and more. 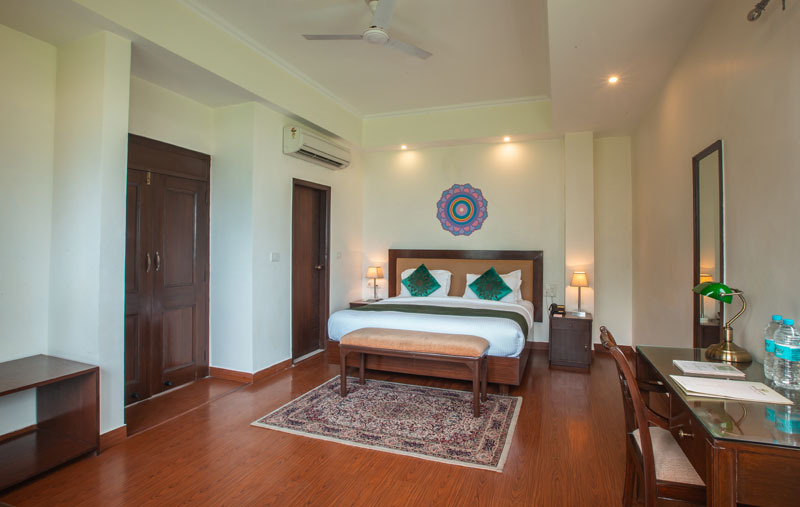 Choose a Semi Deluxe Room for relaxation, comfort and simplicity. 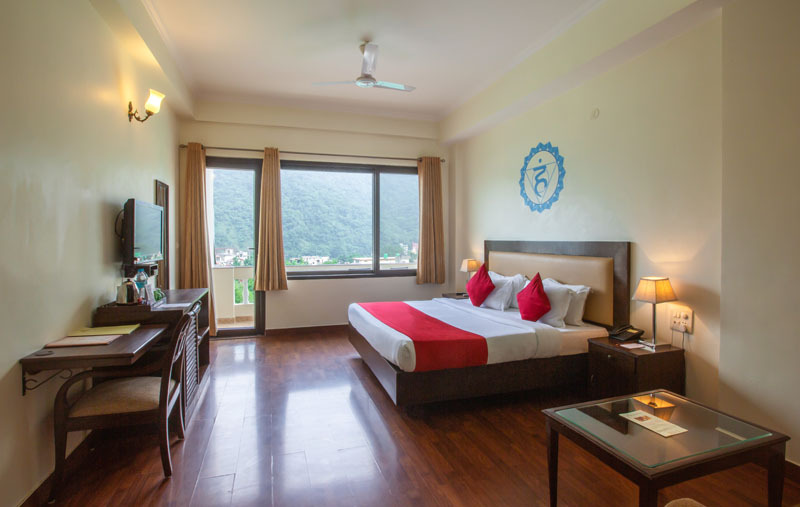 Perfect for individuals joining us for a short stay in Rishikesh.